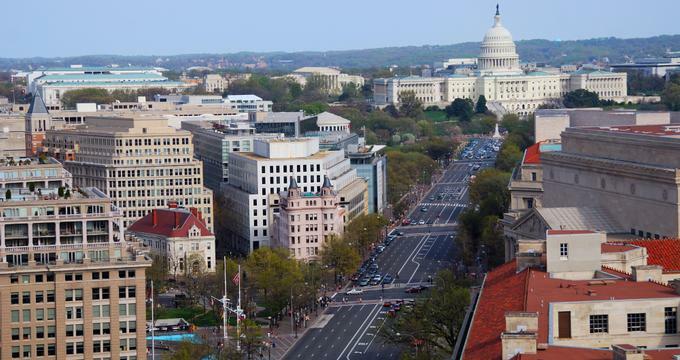 The city of Washington, D.C. is known for its stunning architecture and its rich history, and it draws millions of yearly visitors who are interested in seeing some of the country's most iconic monuments and attractions. The best part of tying the knot, other than the fabulous wedding, is the private honeymoon. For a truly world class hotel experience quite like nowhere else on Earth, choose Alaia. With a whole range of villa, penthouse, and cottage options designed by the legendary Samual Amoia, Itz'ana Residences stand out as some of the finest waterfront properties not just in Belize, but in all of Central America. Top luxury spa vacation ideas include St. Lucia, Maldives, Napa, Italy and other great destinations. 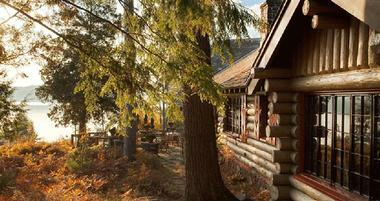 Check into this five star retreat in Upstate New York built by William Rockefeller. Check into The Inn Above Tide for a relaxing weekend getaway filled with water views. When you are planning to spend $5,000, $10,000 or more on a luxury vacation, you can go pretty much anywhere in the world, from exotic destinations like the Maldives and Bali to five star city hotels in Beverly Hills or Manhattan. Although money may be no object, everyone loves a good deal and getting what they want. Don’t finalize your plans until you read our tips below. Last Minute Deals: Luxury resorts are rarely completely occupied, even during the holidays. If you are planning a last minute getaway, look for deals either by calling the hotel directly or comparing prices at several online travel agencies like Expedia and Orbitz. Social media sites can be a good resource also – many hotels and resorts Tweet about their last minute specials because they would rather discount than have empty rooms. Specials include free nights, room upgrades, resort credits, massages, free golf and second room at 50% off for families with kids. Another way to get more luxury for less is to book a vacation rental. What to Bring: Think casual Friday when packing for a luxury resort vacation. Clothing should be comfortable so that you can enjoy different activities while still looking stylish. Bring several fun outfits for dinner, but don’t obsess over shoes because once your toes touch the sand you may decide to kick off the shoes altogether for the duration of your trip. Read our handy tips for packing for the tropics. How to Find the Perfect Luxury Suite: The best hotel suite may not be the biggest. Presidential suites often have sprawling layouts which are great for corporate parties, but too impersonal for a romantic getaway or a honeymoon. Look for a luxury suite with a great view and personalized touches that will make you feel more at home, whether that’s a particular kind of art that you like, color scheme or bathroom design. When you are staying in a suite, expect VIP treatment such as limo pickup at the airport, access to a chauffeur to take you shopping, fridge stocked with your favorite foods and more. Where to Go: Most destinations have the best time to visit, whether you are interested in a particular activity like whale watching, once in a year event, festival or the best weather for your time of the beach. If you have a couple of destinations in mind, find out what the weather is like during the time you plan to visit. Finally, pick the destination that offers the most of what you wish to experience. What kind of a vacation are you looking for? Do you want to go skiing in the Swiss Alps, relax on the beach in the Caribbean, go wine tasting in California, get pampered at an amazing spa or plan a luxury trip with kids? Here are some options and trip ideas. 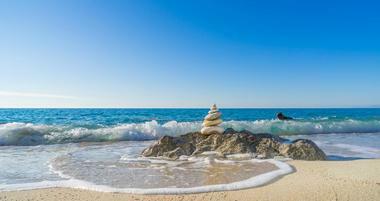 Luxury Beach Vacations: Beaches are very popular with most travelers because they offer us that lazy relaxation that everyone craves after long days at the office. Kids are happy on the beach and grown-ups have time to chat, sip a cocktail and watch a colorful sunset. Couples who need to spend quality time together often pick a beach resort in Hawaii, Bermuda, Bahamas, Bali, Fiji or the Florida Keys to kick back and relax. Family: When planning a trip with kids, it’s a good idea to pick a destination where you will have a diverse choice of activities so that everyone can feel that they experienced something amazing on vacation. 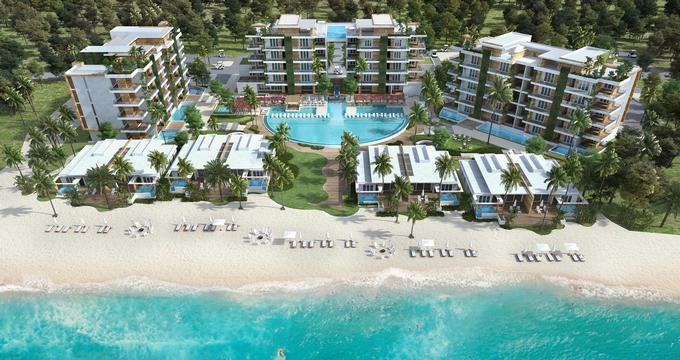 Some of the top family resorts in the world will offer clubs and facilities for kids of different age groups, from playgrounds for toddlers and little kids to teen clubs with video games and other activities that will let them socialize and make new friends. 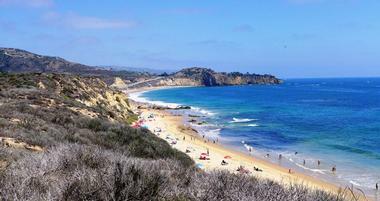 Grownups should look for luxurious spas, oceanview golf courses and shopping. Guests of all ages enjoy a choice of watersports such as paddleboarding, swimming, kayaking, snorkeling and scuba diving. 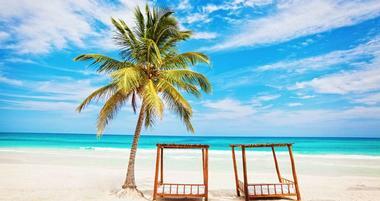 Islands: Island vacations are very popular among travelers looking for luxury. Honeymooners who are looking for a unique experience will look for resorts in the Caribbean, South Pacific, Australia, New Zealand, Croatia and the Greek Islands. 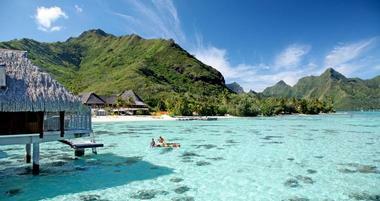 There are many amazing private island resorts in French Polynesia, Fiji, Bora Bora, Belize, Maldives and in Florida. 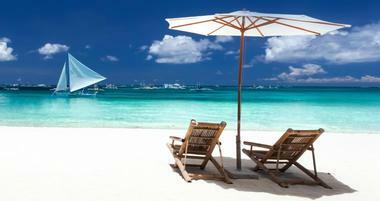 The biggest draw are secluded sandy beaches where couples have romantic picnics while snorkeling and sunbathing. Getting away to a remote island has other advantages too: amazing starry night sky, unique overwater bungalows and beach villas on the water that make you feel like Robinson Crusoe. All inclusive: Many of the island resorts that you visit will offer an all inclusive option, especially if there are limited dining and activity options in the area. The advantage of all inclusive pricing is having access to all of the activities the resort has to offer, from beach gear rentals to tennis courts and sometimes even golf. Be sure to read the fine print when booking an all inclusive package. Often specialized tours like scuba diving or heli-skiing will not be include in the cost of your stay. Honeymoon: Honeymoon is the time when couples decide to splurge on a luxury getaway and travel to an exotic spot which they will remember for the rest of their lives. Honeymooners have access to exclusive packages such as free nights, VIP amenities like champagne, chocolate and flowers, limo transfer from the airport and free massages. Sometimes you will be asked to show the marriage certificate to prove that you were recently married when checking in. Luxury honeymoons are not just about traveling to a secluded island. Active couples can plan an amazing vacation to the Rockies and stay at five star hotels in Aspen while hiking, mountain biking or skiing. Romantic Getaways: Top reason couples get away to a luxury hotel include anniversary celebrations, birthdays or to elope with an intimate wedding ceremony. Most vacation spots will offer extra romantic touches which you can book in the form of a package or an add-on. Looking for a romantic rose petal turn-down or a candlelight dinner on a secluded bay overlooking the sea? 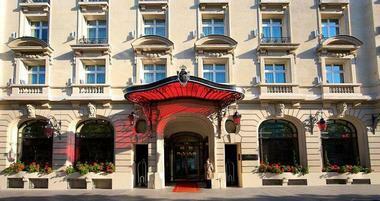 Get in touch with the hotel concierge to get help with the planning and get more ideas that you may not be aware of. Some hotels have started offering a dedicated romance concierge who will help you arrange hard-to-get event tickets to concerts, shows, sports events, hot restaurants, as well as arrange the perfect wedding proposal. Luxury Vacation Packages: Luxury packages are usually not so much about saving money but more about giving you extra perks such as expediting you through customs and immigration, a driver to take you shopping, a bath butler to draw the perfect bath and a private chef to prepare the ultimate dinner in the privacy of your own villa. Sometimes hotels offer ultra-luxury packages that include a diamond engagement ring or a private yacht charter. Luxury Retreats: For a vacation that will let you get away from it all, unwind and rejuvenate in a new setting surrounded by interesting people, check into one of the destination spas which offer week-long retreats. Canyon Ranch was one of the first to offer comprehensive mind-body programs, complete with nutrition education, an array of fitness classes and relaxing massages. There are many more choices now than 20 years ago, whether you want to lose weight, get in shape or simply relax by yourself to unplug and unwind. Click here for some top choices. 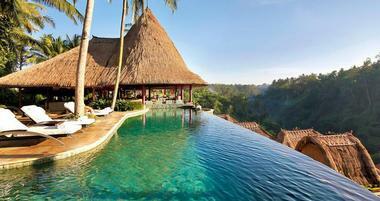 Below are some of the top luxury destinations around the world. 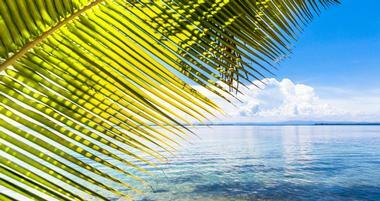 Fiji: A vacation to Fiji won’t be cheap – just an economy airfare ticket will set you back a few thousand dollars. Private island resorts in Fiji are one-of-a-kind, with villa rates starting at $900 USD or more per night. These tropical islands are a paradise on Earth, with white-sand beaches, clear ocean, unspoiled reefs and plenty of privacy. New York: New York has no shortage or fabulous luxury getaways, from locations on the Upper West Side, East Side, Park Avenue, Central Park South and in Lower Manhattan. The newly renovated Plaza hotel in New York City has beautiful luxury suites which overlook Central Park, right next to famous Fifth Avenue shopping. Mandarin Oriental, New York attracts its share of celebrity guests, movie stars and TV personalities. It has a stunning indoor pool with views of the NYC skyline – go for a dip at night and the view will be unparalleled. The Pierre is a landmark getaway with views of Central Park, especially from the rooms and suites on the higher floors. Other classics include the Plaza, the St. Regis and two Ritz-Carlton hotels, one in Midtown and one on the south end of the city, overlooking the Statue of Liberty. California luxury vacations: There are many must see places in California, from the vineyards of Napa Valley to redwood forests and landmarks like the Golden Gate Bridge. California is one of the wealthiest states in the US, the residence of celebrities and famous personalities who have money to spend on luxury vacations. That’s why the supply of first class hotel rooms and suites is so high, whether you are traveling to a city or taking a trip up the scenic coast. Hilton San Diego is a family-friendly resort with a sandy beach, spa, pools and fun activities for kids. Combine a trip down Scenic Highway 1 with scenic ocean views from Dolphin Bay Resort which a spa and gourmet restaurant serving a menu of local and organic foods. The luxurious Terranea Resort features scenic coastal views, ocean-facing rooms and suites, and a 50,000 square foot spa with many new signature services. Rent one of the poolside cabanas at Hotel Bel-Air in Los Angeles and mingle with the rich and famous. Head to Napa Valley for a weekend of great food and wine tasting. Stay at Auberge du Soleil, located just 65 miles south of San Francisco. This all-suite hotel has a fabulous spa with infinity-edge soaking pools and private gardens. In Sonoma, the gardens and orchard at MacArthur Place provide a romantic setting. Hawaii luxury vacations: Visit the famous Waikiki Beach on Oahu and stay at the affordable Waikiki Parc Hotel with a rooftop swimming pool and a Japanese restaurant. St. Regis Princeville is a luxury resort in Kauai where one of the signature services is personalized butler service. Grand Hyatt Kauai is home to the Robert Trent Jones course and a spa offering Hawaiian-inspired treatments. New England: New Yorkers and Bostonians turn to New England when they need to get away from the daily grind. There is the Finger Lakes wine country region where you can go wine tasting coupled with excellent farm-fresh cuisine. The Berkshires is a beautiful area for antiquing, art galleries, summer festivals and grand country estates. The Adirondacks is not just for outdoor enthusiasts – there are several luxury resorts offering scenic views and plush accommodations. Miami luxury vacations: South Beach attracts US and international travelers with its hip bars, clubs, nightlife and five star Art Deco hotels steps from the beach. The best deals can be found in the summer when the weather becomes hot and humid. But if you are mainly going for the dining, spa treatments and suites with a view, this is the time to snag a deal. Jamaica: Jamaica is a favorite with travelers who want luxury for less because it’s considerably less expensive than most islands in the Caribbean. There are many all-inclusive resorts to choose from, including Sandals Whitehouse which has the biggest pool, Couples Negril which is set on a long stretch of sandy beach and Half Moon resort where you can rent a villa with a pool for a family reunion. There is even a hotel that lets you record your own songs using its professional sounds recording studio. France: There are many great places to visit in France, from historic and romantic Paris to Lake Geneva and the beaches of the South of France. For a few days of pampering at a spa, check into the Evian Resort which has the same name as the famous bottled water from France. In the South of France, look for stunning villa rentals with private pools and historic architecture. Head to Paris to tour some of the most recognizable landmarks on Earth, such as the Eiffel Tower and the Louvre Museum where you can see Mona Lisa by Leonardo da Vinci. Maui: Unless you live in a bubble, you’ve seen celebrities show off their hot bikini bodies on the beaches of Maui. The island offers several luxury resorts with oceanfront suites from which you can see the whales jumping in the distance (in the winter). Grand Wailea has spectacular tropical gardens with elaborate pools, fountains, palm trees and fragrant flowers. The Fairmont Kea Lani is especially popular with families who like the layout of the beach villas which are close to the ocean. The Ritz-Carlton Kapalua is situated in a quieter spot and offers a choice of two golf courses, two spas and many outdoor activities. Great Barrier Reef: The Great Barrier Reef is a destination for ocean enthusiasts, giving you access to the largest barrier reef in the world, full of wonder and excitement. There are several private island resorts which offer luxury villas and suites just steps from the water. Bedarra Island is private and secluded. 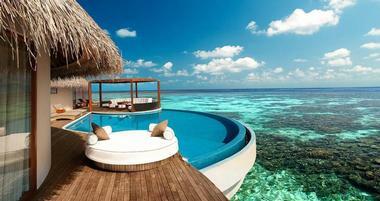 Suites have private plunge pools with a view of the beach. 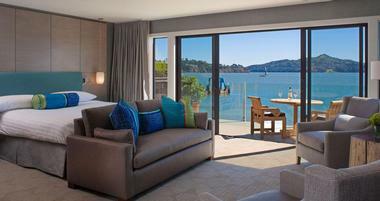 Hayman Island is larger, with more accommodation options, including modern villas on the beach. Bermuda: Elbow Beach Bermuda features a selection of signature spa treatments which have been launched at all Mandarin Oriental luxury spas. The new treatments, inspired by ancient techniques from around the world, include five body treatments and three facials. Among the unique body treatments is Tui Na, a Chinese massage therapy technique that increases the flow of energy by opening the meridians of the body. The Spa at Elbow Beach Bermuda features six private luxury spa suites with balconies overlooking the ocean. Each suite has a granite soaking tub, a river pebble-lined steam shower and daybeds where vacationers can relax before and after a treatment. Couples can book one of the Couples Suites with a large granite bath for two. Luxury Spa Suite that are booked for two hour or longer include 30 minutes of personal time to relax and unwind. Signature spa treatments start at US $320. 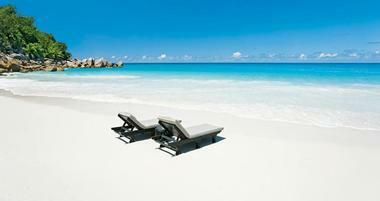 Caribbean: If you are looking for an elegant getaway with a fantastic beach, check into the Sandpiper hotel in Barbados. Hotel Love in Saint Martin has wonderful views and affordable rates. 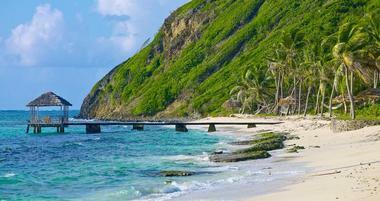 Rosewood Little Dix Bay in the BVI has a pristine coral reef and spacious accommodations.